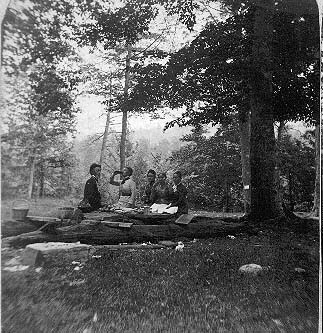 This group of tourists enjoy their picnic lunch somewhere near the Portage Falls and the Glen Iris. Mr. Letchworth allowed visitors to walk his grounds, asking only that they "close the gates behind them"! 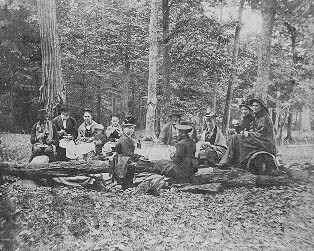 This group of visitors have spread their out their lunch somewhere near the Portage Gorge. It may be in the woods above the Lower Falls. Please note the very unladylike pose!